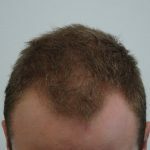 The story we share with you this blog is about the success of Men’s Hair Thinning Treatment, and how simple targeted treatment can prevent further pattern hair thinning and deliver steady gradual hair regrowth. See included before and after photos taken at a four-month period of treatment and the individual case background. 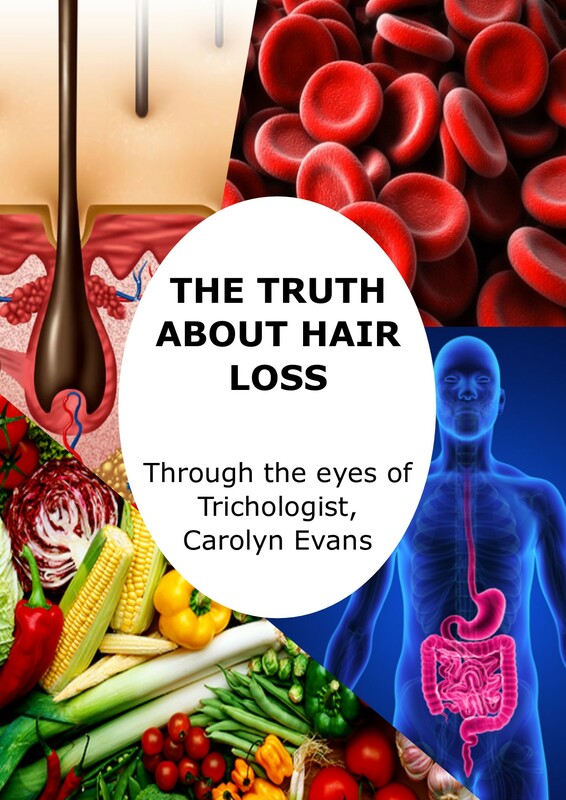 There was an individual hair thinning topical treatment along with an alkalising green drink to support health and absorption of a men’s health supplement to assist in hereditary male pattern thinning prevention. Following initial diagnosis, we uncovered hereditary factors that presented in the same age bracket. Under the microscope we were able to see that the noted hair loss and dry hair was due to male pattern thinning, which is a gradual miniaturisation of hairs in a typical pattern of hair thinning. 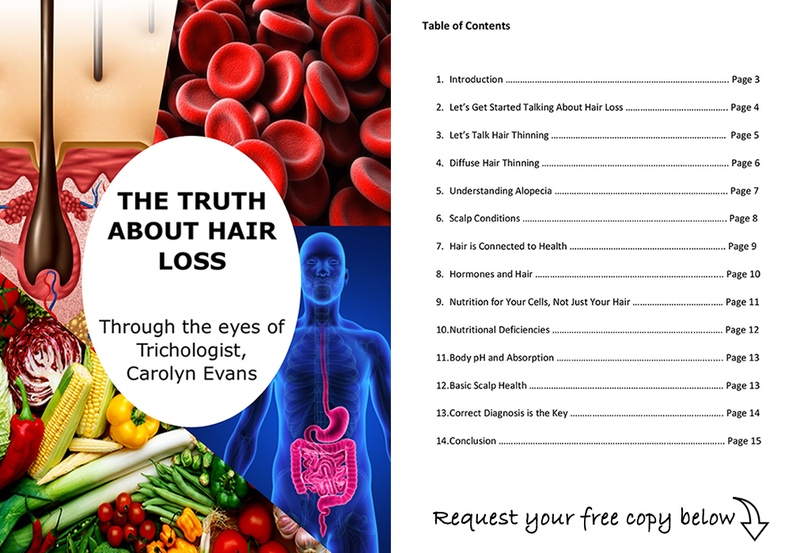 Male pattern hair thinning can be caused by any of the following factors; genetic influences, hormonal triggers, environmental exposure and the free radical effect. 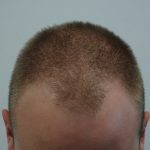 Hereditary male pattern hair thinning is a dominant trait, only needing one gene from either side of the family, for the trait to be triggered. This doesn’t mean you are bound for the future, you have a choice to prevent this these days, and once a correct diagnosis is obtained along with understand the causes and natural options available, prevention and hair regrowth can be achieved, however depending on the status of the hair follicle at the time. This case provided affordable and easy treatment plan for male pattern thinning to improve and prevent any further male pattern thinning from occurring. In the first year of treatment we check in every four months we ensure you are making progress and that the prevention is working, as we are all individual. When each case is happy with results at any four-month increment, simple maintenance programs are offered for your individual requirements. We tailor our hair thinning treatment to suit each case needs and any changes occurring in life and health. If you would like more information on Men’s Hair Thinning Sydney, Treatment Story or to share your hair thinning concerns, email Absolique Hair Health Clinic Trichologist Sydney at info@absolique.com.au or call 02 8014 6916 to speak with our helpful reception team.